Should You Use An Interest Only Loan When Renovating? Should You Use An Interest Only Loan When Renovating? When renovating a property it’s important to choose the loan that best suits you. Should you use an interest only loan when renovating a property or should you use a principal and interest loan? I’m going to expand on this question and answer it in broader terms. 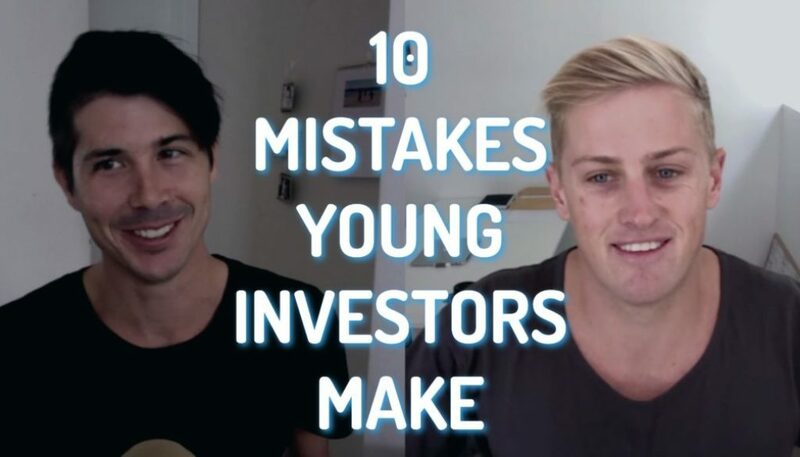 I’m not a mortgage broker so I can’t give lending advice but I can give general education around mortgages and enlighten you as to what a lot of other investors do. I am imagining a lot of people watching this video are looking at renovating a property and selling it or get it revalued to borrow more equity from it. When looking at interest only this situation one of the major benefits that you have is that you have less monthly expenses while the property is being renovated. Because you are renovating the property there is going to be no one in that property renting it so every expense that you have you’re going to be paying for yourself. This includes the mortgage on the property. If you intend to flip that property and sell it quickly is there much point paying down small portions of the mortgage on the property if it’s going to increase your monthly expenses for that time? It really depends on how much money you think you’re actually going to save by putting extra portions onto the loan so you not paying the 5% interest or 7% or whatever it may be. 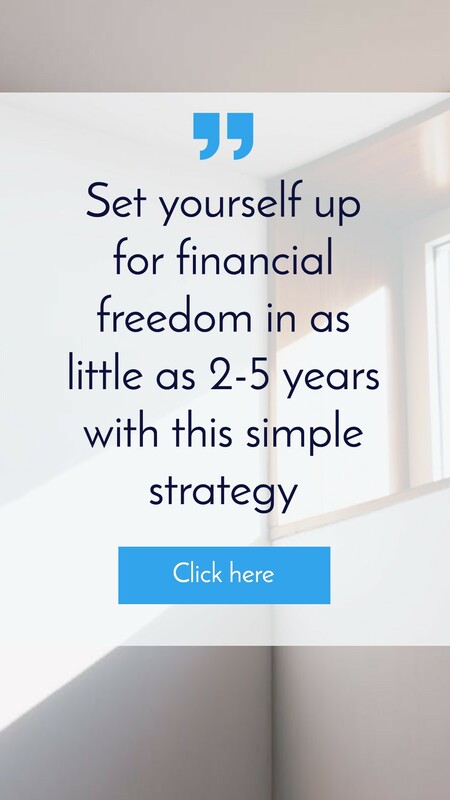 Is it actually worth putting that extra cash flow into that or would that cash flow be better spent somewhere else to increase your profitability or to keep you liquid so that you could actually afford to keep the property going? So one of the major benefits of interest only is that it minimises your cash flow requirements for the mortgage and of course in the first early months of paying a mortgage even if you go principal and interest over 25 years or 20 years the amount of money you’re actually going to pay off that loan by going principal or interest in just the first few months is going to be pretty small. So you do need to access whether or not those extra repayments are actually going to be worth it. 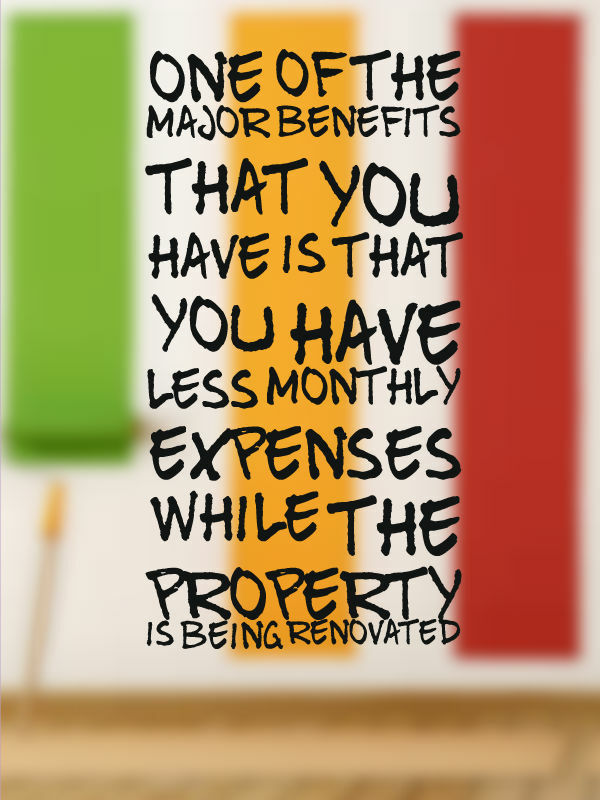 Now if you are renovating the property to rent it out it could be a different situation for you. Again you’ve got the same situation as someone who is renting it out to sell it in terms of cash flow. Because a principal and interest loan means you need to pay more every single month with the goal of eventually paying off the mortgage completely. But is that increase in payments actually going to be worth it to you in the long run or do you actually need that cash flow now? 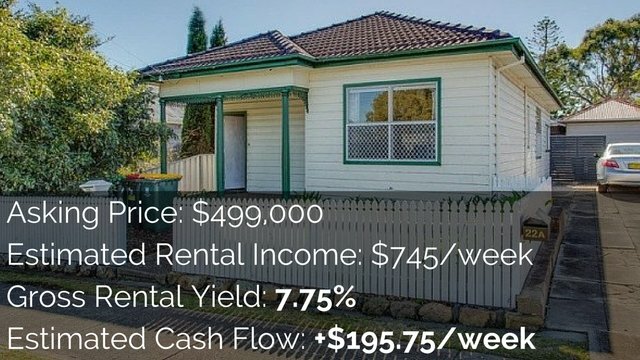 It’s a bit different when you’re purchasing a property to rent it out because your end goal may be just to hold that property for the long term and eventually pay off the mortgage completely. Your decision whether to go interest only or principal and interest will be determined as to what your cash flow situation is like in the beginning. 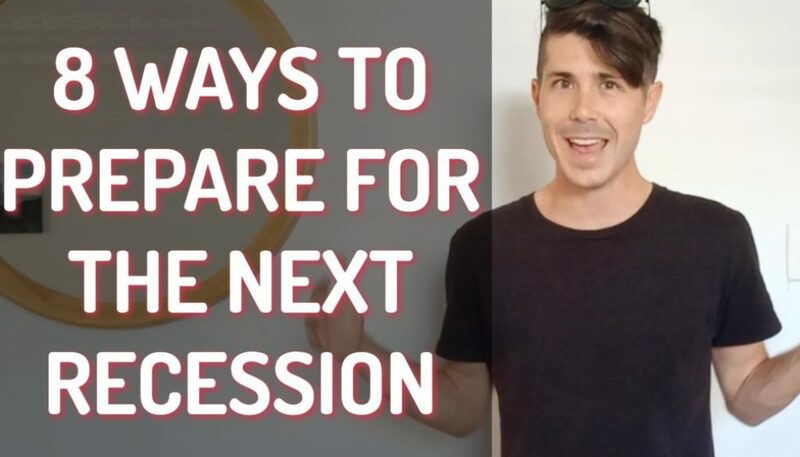 You also need to consider what it’s going to be like once the property is rented, where you actually want to see yourself financially in the near future and where you want to see this property in 25 years down the track. Now with interest only loans you can often get an option of what’s called an offset account. If you don’t know what these are you can simply Google what is an offset account and you can learn all about them. I do suggest when setting up your loan you go through a mortgage broker so that they can get you the right loan that has this offset account if you want it. If you want my mortgage broker to get in contact with you click here and just fill in your name and number and my mortgage broker will give you a call and talk to you about your borrowing capacity and your loans and all of that sort of stuff. 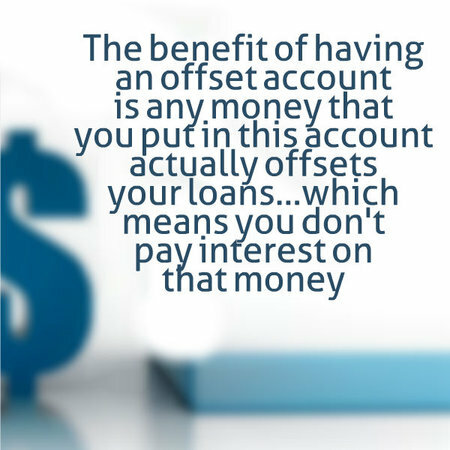 The benefit of having an offset account is any money that you put in this offset account actually offsets your loans. So if you put $1,000 in an offset account then that’s a $1,000 on your loan that you don’t need to pay interest for that month if the money’s there for the full month. Now what this means is that rather than making extra repayments onto the loan you can pay your interest only but then you can make extra repayments into your offset account. Which means the amount of interest that you have to pay is going down as you got more and more money in this offset account. But the benefit of an offset account is that it gives investors the flexibility to then take that money and do whatever they like with it. It’s your money, you don’t need to apply to take it out of the bank. 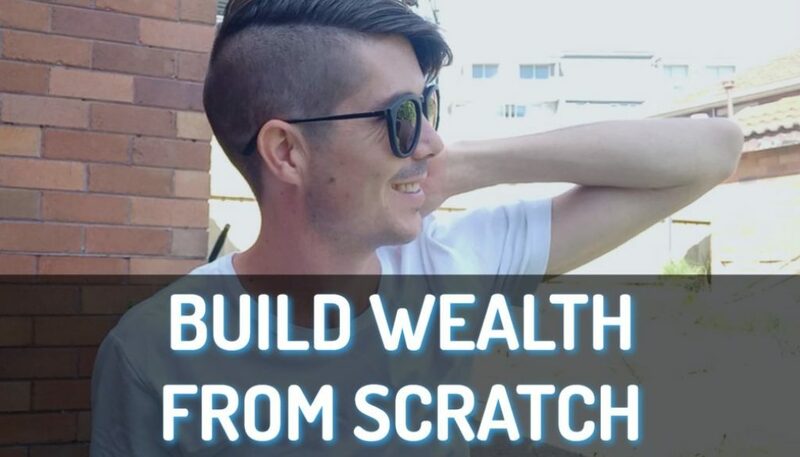 It’s just like having money in a standard bank account and that just gives you the flexibility to take that money with you to go on holidays or to use that money to reinvest. If you’re paying down a property and you want to get that money back out chances are you’re going to have to go through the banks approval system to try and get an equity loan and to borrow against that property. Are You Disciplined Enough Not To Touch The Money? Having it in an offset account just means you can access it easier. Now depending on who you are, your financial control and discipline offset account doesn’t work for everyone because not everyone is disciplined enough to put money in an offset account and not touch it. There is always the car motor just broke down I need $1,000 to pay for that or I got a wedding in Italy in August and I need to find some money to pay for that or something like that. So depending on who you are depending on what your financial goals are will depend on whether you go with interest only or principal and interest. For myself if I was to invest I would always invest interest only with an offset account just because I love the idea of having less cash flow requirements. That way if it took me longer to get a tenant or I couldn’t rent a property for as much I have less cash flow than I need to pay. This keeps my head above water a little bit longer than if I was principal and interest. 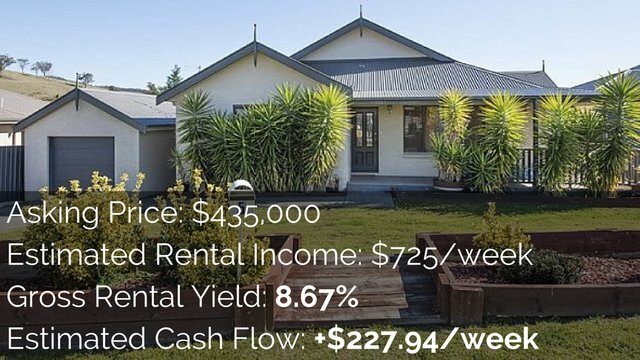 It also helps you achieve positive cash flow faster because you don’t have the extra payments that you’re making onto the mortgage and then you have the flexibility of an offset account. 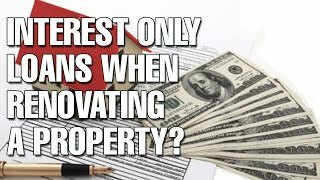 What a lot of investors do is over time, as rents tend to go up and as their properties go up in value, they might switch to principal and interest and then begin funnelling that extra rent onto the mortgage to pay it off. So Glenny I hope that answers your question as to whether or not you should go interest only or principal and interest when renovating a property. Obviously this can’t be considered advice, it’s for general educational purposes only. I talked about the benefits of doing interest only and the benefits of offset accounts but that’s more factual advice than me saying actually go and do this because depending on who you are and your financial situation, what your lending criteria is and stuff like that, you need to get professional advice before making a decision like this. Again I suggest you speak to a mortgage broker about these matters.